UCL is known for challenging the status quo. It was with this sentiment that the UCL Centre for Gender and Global Health was officially launched on the 16th February 2017. Led by Professor Sarah Hawkes, the centre will reach beyond academia to work with policy-makers and policy-influencers to address the complex relationship between gender and health. A global community of change makers and thought leaders converged to discuss innovations in gender and global health research. The daylong event included keynotes, interactive panels, film screenings, Q&A sessions and a networking reception. The keynote panellists spoke about key challenges to gender and global health research, policy and action. 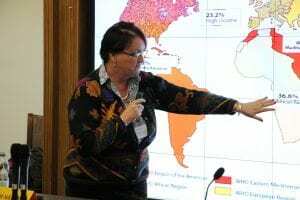 Rachel Jewkes, the Director of the South African Medical Research Council’s Gender and Health Research Unit, shared new directions in gender-based violence interventions and highlighted feminist approaches to resilience. 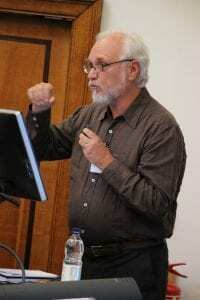 Benno de Keijzer, Professor of Health and Masculinities at Universidad Veracruzana and co-founder of the NGO Salud y Género, challenged the concept of hegemonic masculinity and how it relates to both men’s and women’s wellbeing. Sabina Alkire, the Director of the Oxford Poverty and Human Development Initiative, highlighted the complexities of measuring empowerment and agency. Maureen Fordham, UCL Professor of Gender and Disaster Resilience and founding member of the Gender and Disaster Network, challenged the audience to break out of gender binaries and consider the long-term social impacts of disaster on health and wellbeing. These contributions established the dynamic nature of the day and opened into four response panels comprised of international and UCL experts from different disciplines and sectors. Panels were divided into four themes: Gender-Based Violence and Health, Institutional Responses to Gender and Health, Masculinities and Health, and Gender and Disaster. The breakout panels were followed by a wrap-up from panel rapporteurs and an interactive question session. Despite four disparate topics, strong crosscutting themes emerged across the panels. These were: going beyond boundaries, working with complexity, disrupting the status quo, and partnerships and collaboration. There was a call for transformative gender approaches in research, policy and practice across all panels. Participants considered the reduction of gender to a binary, the often-confabulated terms ‘gender’ and ‘women and girls,’ and how these fell critically short of inclusive gender approaches. They put forward a critique of hegemonic representations of masculinity, and the emergence of a positive reframing of masculinities. They also highlighted the perpetuation of harmful gender stereotypes during a disaster and the unique opportunity to transform socially constructed roles and norms, as well as the importance of participatory, local research to deepen understandings of power and violence. 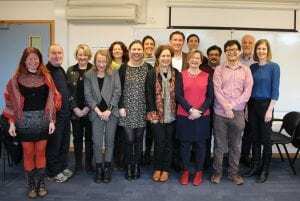 All of this led to the resounding conclusion that we, at the UCL Centre for Gender and Global Health, would continually need to push the boundaries of gender and health concepts and actions. As Wendy Harcourt, Associate Professor in Critical Development and Feminist Studies at Erasmus University, eloquently suggested, “we must slow down and think through messy and complex questions” when it comes to gender, health and politics. The panels unanimously recognized the need to embrace the non-linear and complex nature of human relationships, power, and the construction of gender and health. An intersectional approach may help synthesize this complexity across policy, research, and programs. Recognising this complexity presents a challenge and opportunity to evolve academic and practical responses to gender and global health politics. Leaders from the worlds of both the UN and NGOs recognized that challenging the gender status quo requires vision, leadership and accountability. Jan Beagle (UNAIDS), Maryse Simonet (EU) and Geeta Misra (CREA) all called for partnership across institutions and movements. In the tradition of feminism and other social advocacy movements, panellists embraced the notion of being ‘a thorn in the side’ of their institutions, organizations and communities in order to continually challenge gender norms and go beyond the status quo. Many participants made a strong case for innovation, from the grassroots through to large-scale interventions. As Ravi Verma, Regional Director of the International Centre for Research on Women Asia, put it: we need a disruption to the construction of gender identities. The Launch concluded with an invitation to all participants to continue their involvement with the Centre. The UCL Centre for Gender and Global Health will drive partnerships across international boarders and across sectors. Although this approach is more difficult to implement, it is crucial to the future of gender and global health policy and practice. It can be achieved by thinking outside the box, communicating transparently, and investing in building long-term partnerships. Future activities of the centre will include co-producing reports with multiple stakeholders, promoting a seminar series, publication of a book series, and continuing to build research expertise in the translation of research into action towards gender equity in and for global health.